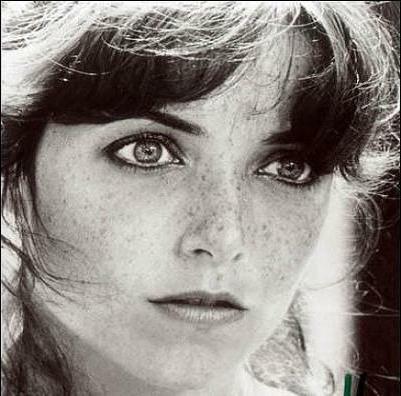 Karen Allen is adorable. She’s been adorable for as long as I can remember. She’s also the feisty, freckle-faced love interest to some of my biggest matinee heroes growing up. Principally, Indiana Jones and Starman. In both seminal films she glows from within, whether it be giving Indy the business for abandoning her, or falling for Starman’s alien innocence. But wherein RAIDERS OF THE LOST ARK (1981) was assuredly Harrison Ford’s star vehicle through and through, the camera’s focus in STARMAN (1984) is unequivocally on the stunningly-beautiful and amazing performance of the luminous Karen Allen as grief-stricken Jenny Hayden. The one thing that stands out about Karen portraying a woman who has lost the love of her life is her humanity. The ability to be vulnerable and yet still open to helping those around you (even, in this case, an alien being) is an amazing and conscious choice on the part of the actress. Karen is a naturally vivacious personality, yet in this role she is understated, trying to contend with loss while comprehending the fantastic events in the film. I love every inch of Karen in this film: she never disappoints and delivers an Oscar-worthy performance opposite her leading man, Jeff Bridges. Both Karen and Jeff, both accomplished singers, performed a duet in the movie. The movie was Karen’s cinematic high-point after RAIDERS and she had the world on a string. Ironic how she chose to concentrate on smaller, more personal projects thereafter. Or, maybe the choice to be her own person and only do what she feels passionate about is what makes Karen Allen so beautiful and attractive in the first place. Karen has acted since becoming famous in the early 80’s (yes, that’s her in the 1978 smash ANIMAL HOUSE). She’s immediately recognizable for her freckle-faced natural beauty and spunky, fun-loving nature. And to those who grew up watching in awe her glowing presence on screen, we know how lucky we are to have been born at the right time to gaze upon her rising star. She’ll forever be remember for Marion Ravenwood from Indiana Jones. But to me, she’ll always be Jenny Hayden – the real star from Starman (no offense intended, Mr. Bridges).